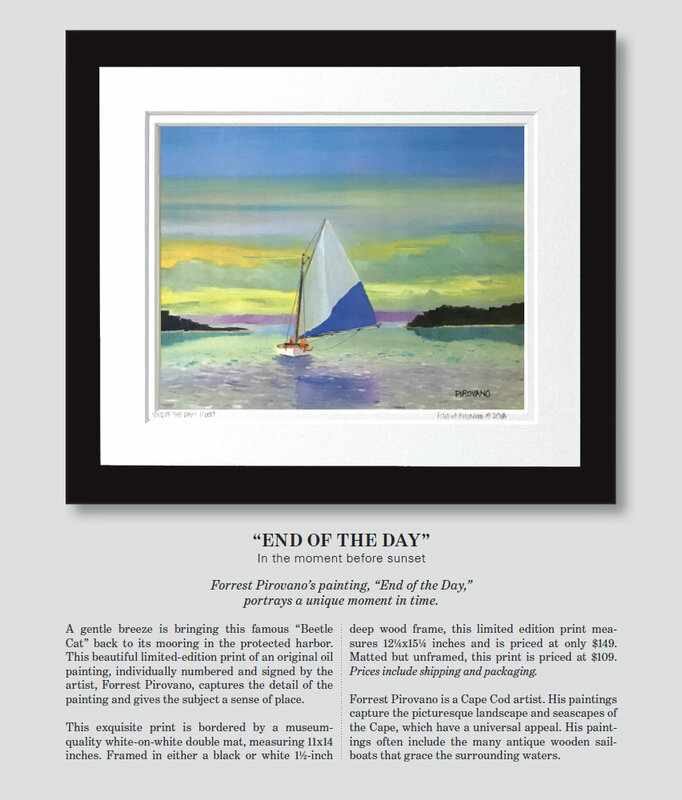 Beautiful fine art prints of oil paintings by noted Cape Cod artist Forrest Pirovano. 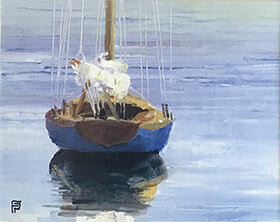 This collection concentrates on the famous wooden sailboats that are moored in harbors throughout New England. Each litho is numbered and signed by the artist. A certificate of authenticity is also included. 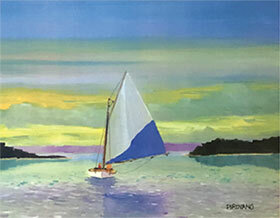 Is a painting of a famous Beetle Cat which is returning to the harbor after a day of sailing on the bay. 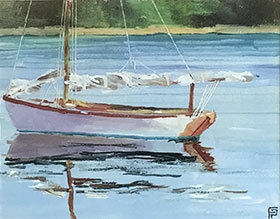 Is a painting of a famous Herreshoff "S" sailboat in Woods Hole. It was designed in 1919 by famous designer, Nat Herreshoff. There are 75 original wooden boats of this type still sailing today. 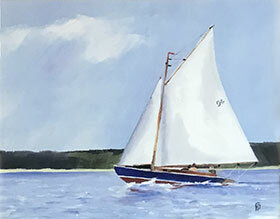 Is a painting of a famous "Herreshoff 12½" designed by Nat Herreshoff in 1914. It has been acclaimed as one of the finest small sailing boats of all time. Is a painting of the 26 foot Crosby "Wianno Senior" that was given to JFK by his parents for his 15th birthday. Today, "Victura" is on display at the Kennedy Presidential Library in Boston. 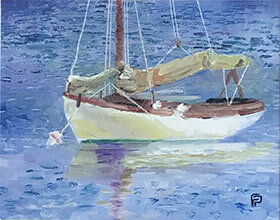 Is a painting of a "Herreshoff 12½" resting peacefully in the afternoon sun. Quissett Harbor is the home to a fleet of 50. 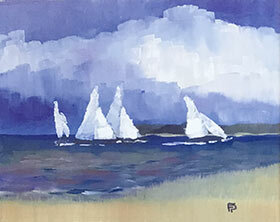 Is a painting of rare Crosby "Wianno Junior" sailboats racing in Osterville.